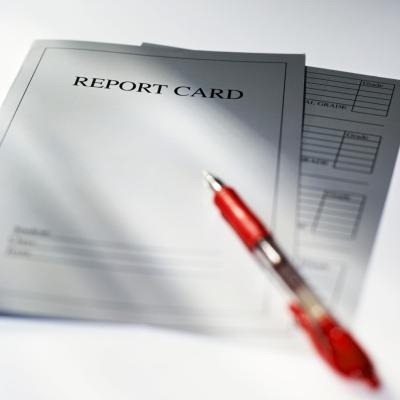 In these volatile times, I’m happy to see some of our companies doing quite well and the stocks getting the due re-ratings. It just re-enforces your faith in the fundamentals and markets. 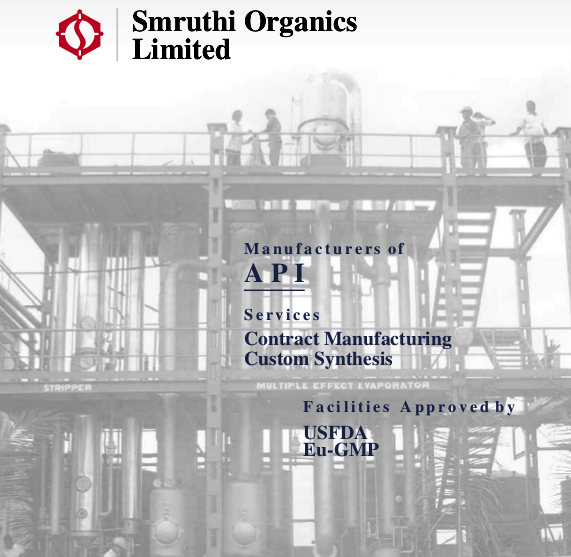 We had discussed about Smruthi Organics on 4th April, 2011 at price of 135 and had provided an update recently. The company has posted good Q1 numbers and the stock has had an amazing run – the stock had appreciated from Rs 140 to 250 levels all in 15 days! We had discussed about Smruthi Organics Ltd (SOL) earlier and had highlighted about the consistent growth of 25%+ in this company and attractive valuations of just 6 times earnings. SOL has posted very good Q1 numbers and FY 2011 annual report also looks optimistic. The stock still looks attractive at CMP of 155. Going by the strong Q1 results, it seems the company might be able to hit 200 Cr turnover for FY 2012 and post a NP of 12-13 Cr resulting into an EPS of 30-35. We have been tracking this company for few years and we like the way the company has performed in the last 2-3 years and yet remains ignored and undervalued. 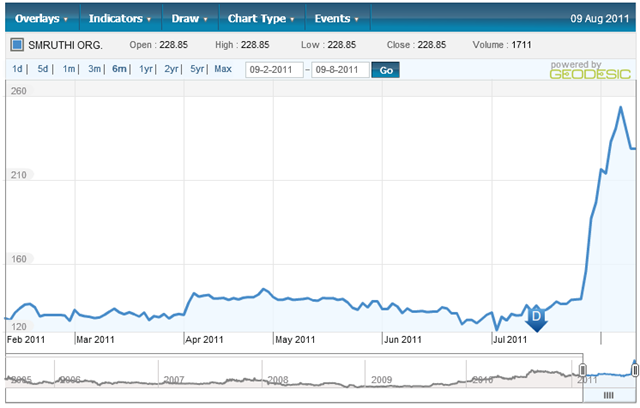 We feel it’s a good pharma company to make a part of portfolio.